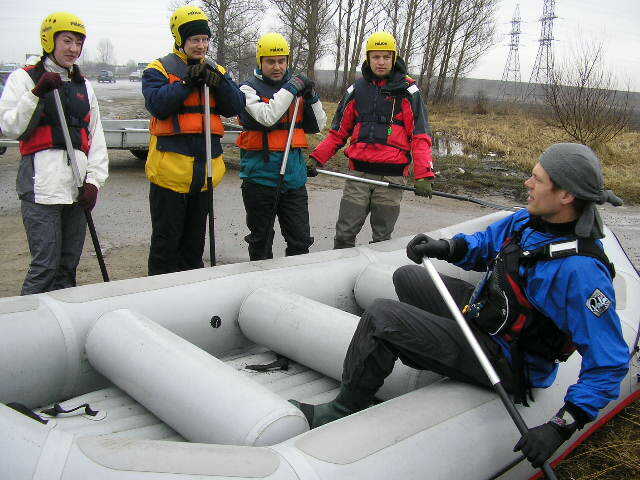 There is rafting season even in flat Estonia in early spring when the snow melts and water level is high in rivers. The high water season appears suddenly and it is very short (couple of weeks), thus you really must seize the moment. We use special rafts built for Skandinavian rivers and they are known also among the tour operators in the rivers in the Alps. 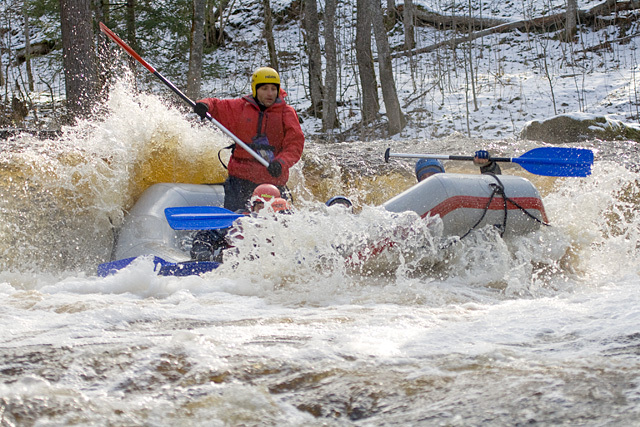 Jägala river is the best river for rafting in Estonia and you can get a quick energy shot there. 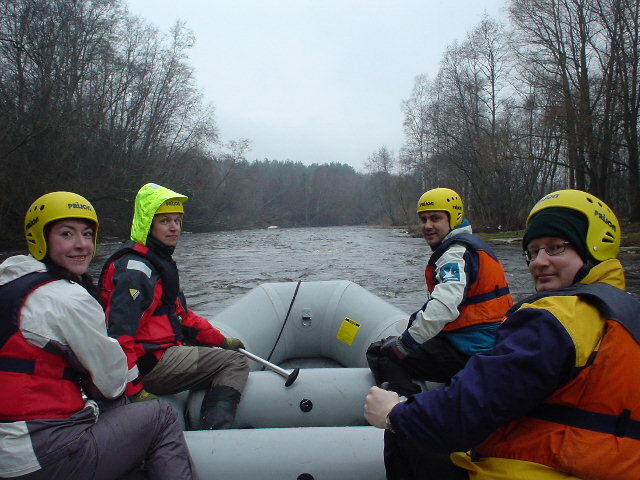 Believe it, there is great rafting even in Estonia!! 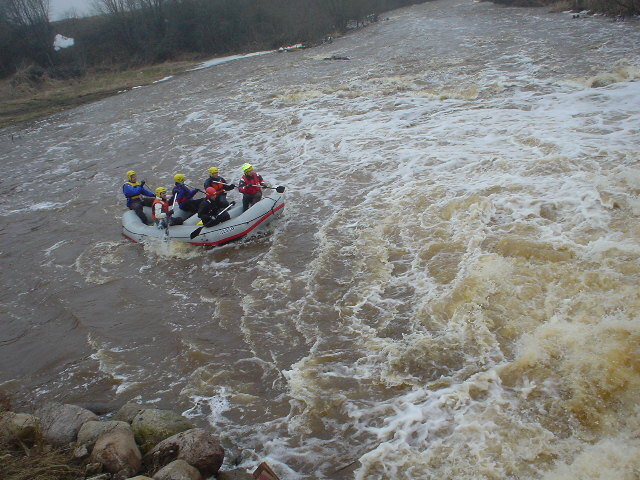 Estonian greatest white water is on Jägala river after Jägala waterfall. This 7,8 m high waterfall running down the limestone edge is the highest in Estonia. Water has smoothed the limestone edge for centuries. As a result a 12-14 m deep and 300 m long valley has been created, which is very good for river adventures. 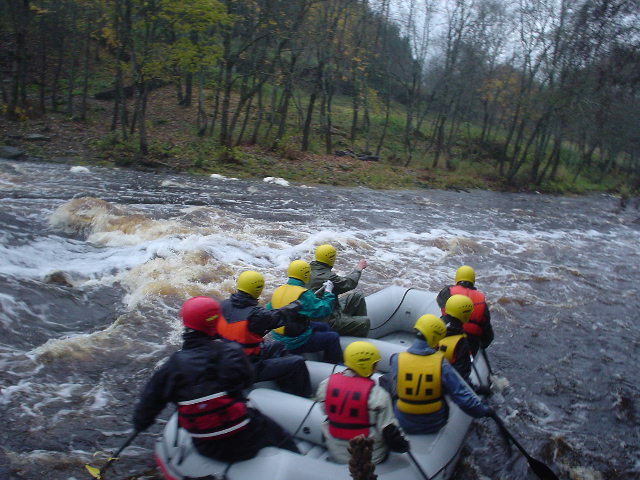 We will also raft on Jõelähtme river which flows into the Jägala river below the waterfall to get a longer trip. The price of this rafting trip is 30 EUR. We will raft the white water places twice. 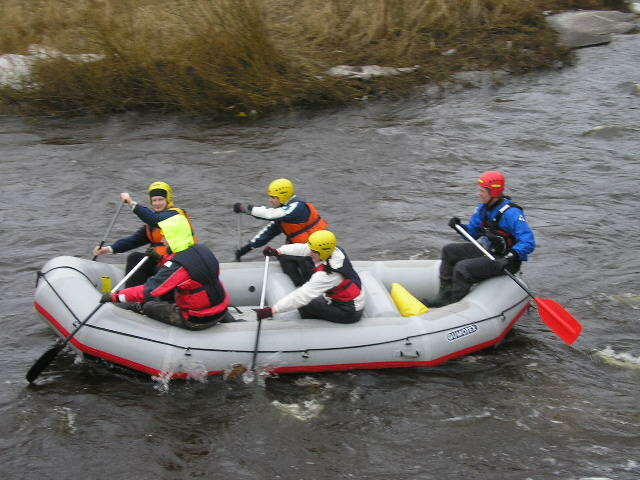 There can be 8 persons (+ instructor) in each raft.